Indisputably, the 80 – year old President Mahmoud Abbas has established himself internally and worldwide as the icon of Palestinian non – violence. His Israeli peace partners leave none in doubt that they are determined to smash this icon, which would leave them only with opposite alternatives the best of which is a massive peaceful intifada (uprising) against the Israeli occupation. 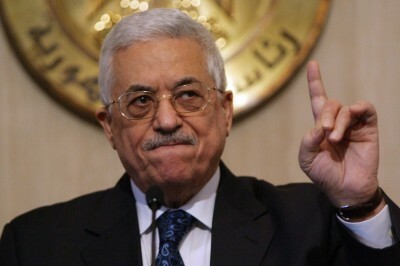 It is true that Abbas cannot yet be called the Ghandi of Palestine. He has yet to follow in the footsteps of the founder of modern India and deliver similar national results by leading a massive popular revolution for liberation and independence, but his strictly adhered to non – violence platform continues to be the prerequisite for any peaceful settlement of the Arab – Israeli conflict in and over Palestine. Abbas has all along rejected “armed struggle” and all forms of violence. He even did his best to avoid popular uprisings lest they glide into violence. Instead he has unequivocally opted to act as a man of state committed to international law and United Nations legitimacy. Nonetheless, the Israelis are still persisting on an unabated campaign to demonise Abbas, tarnish his image, undermine his peace credentials and deprive him of any gains for his people. According to William Booth, writing in The Washington Post on Oct. 10, “Israeli (Cabinet) ministers have branded Abbas ‘a terrorist in a suit’ and ‘inciter in chief’. They mock him as weak,” ignoring that their smearing campaign accompanied by their government’s determination to undermine his peace – making efforts is making him weaker internally and render the “two – state solution” a non – starter among his people. The cancelation of a visit scheduled for last week by senior envoys of the international Middle East Quartet upon Netanyahu’s request was the latest example of the world community’s helplessness and indifference vis – a – vis Israel’s sense of impunity against accountability, which empowers the Israeli occupying power to escalate its crackdown on Palestinians under its military occupation since 1967. In particular, U.S. President Barak Obama Administration’s “reversals” and “empty promises,” in the words of Peter Berkowitz on Oct. 13, to Abbas as well as the inaction of the European Union and the other two Russian and UN members of the Quartet are encouraging Israel in its anti – Abbas campaign, thus discrediting the Palestinian icon of non – violence further in the eyes of his own people as incapable of delivery to walk away from his non – violent path. The practical translation of his on record “principles” was self evident on the ground during the past two weeks of Palestinian rebellion against the escalating violence of the illegal Israeli settlers of the occupied Palestinian territories and the Israeli Occupation Forces (IOF), especially in eastern Jerusalem, which so far claimed the lives of more than 25 Palestinians and at least four Israelis in October 2015. Within the PA security mandate, violence was practiced by the IOF only and only Palestinians were killed. Mutual violence was confined to Jerusalem, the area designated “C” by the Oslo accords in the West Bank and Israel proper, where security is an exclusive Israeli responsibility. There Abbas has no mandate. Most victims of both sides fell there and there only Israel should be held responsible and accountable. One could not but wonder whether eastern Jerusalem and area “C” of the West Bank would have seen no violence had Abbas’ security mandate been extended to include both areas. U.S. Secretary of State, John Kerry, who announced on Tuesday plans to visit “soon” to calm down the violence, should consider this seriously. Ending the Israeli occupation is the only way to move the situation “away from this precipice,” lest, in Kerry’s words, the two-state solution, “could conceivably be stolen from everybody” if violence were to spiral out of control. In 1974 late Palestinian leader Yasser Arafat appealed to the UN General Assembly to “not let the olive branch fall from my hand,” saying that he was holding a “freedom fighter’s gun” in his other hand. Abbas embraced the “olive branch” with both hands and dropped the “gun” forever. In May this year, Pope Francis told Abbas during a visit to the Vatican: “I thought about you: May you be an angel of peace.” The Jewish Virtual Library’s biography of the Palestinian President vindicates the Pope’s vision. It hailed him as “considered one of the leading Palestinian figures devoted to the search for a peaceful solution to the Palestinian – Israeli conflict… It was Abbas who signed the 1993 peace accord with Israel. 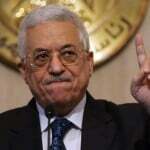 The Oslo accords were the crown of Abbas’ life – long endeavour. The “burial” of Oslo would inevitably be the end Abbas’ era. Israelis by their ongoing campaign of defamation of Abbas would be missing an irreversible historic opportunity for making peace. However, Abbas will go down in Palestinian chronicles as a national symbol of non – violence, who raced against time to make what has so far proved to be an elusive peace. Despite his failure, thanks to Israeli unrealistic dreams of “Greater Israel,” he will be the pride of his people in future in spite of the current widespread national opposition to his life – long commitment.